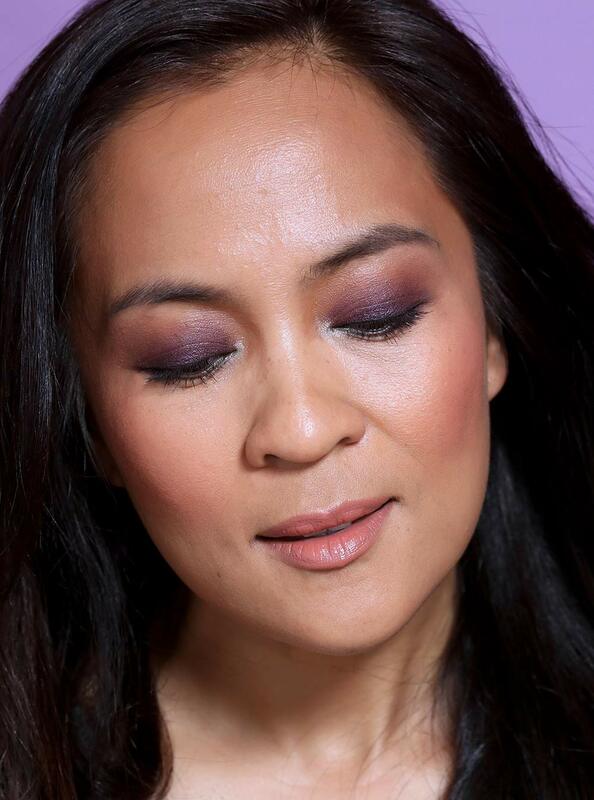 OK, so, I’ve been blinking like Morse code blinks for the last, oh, I dunno…two or three minutes, trying to get this freshly applied eyeliner from the MAC Padma Lakshmi collection to transfer up into my crease, and it’s just not happening. This stuff is the real deal for longevity! The MAC Powerpoint Eye Pencils are usually waterproof and budge-proof, and so are these dual-ended versions, which are $18.50 each (coming March 15th to select MAC counters and the MAC website). 1. They’re a lot like the Urban Decay 24/7 Glide-On Eye Pencils. Like the UD Glide-On Pencils, the MAC Powerpoints are light on their feet as they slide across your skin. They don’t glide quite as smoothly as a gel eyeliner, but still they are smooth, and they set VERY quickly (30 seconds or less). These dual-enders from MAC Padma might look a little sheer in swatches, and I’ve noticed that the UD ones are like that, too, but once you build them up, the color looks rich, dark and deep. It doesn’t take a dozen layers, either. Just two or three at the most. 2. They’re long lasting on lash AND upper water lines. I like these for crisp pencil lines along my lash lines and for tightlining my upper water line, but for some reason — for some reason! — I can’t get them to stick to my lower water line. It’s the weirdest thing, and, sadly, I think it holds these back from being fabulously flexible showstoppers. Also, I should note that these aren’t the kind of liners that smudge easily, so if you predominantly wear smoked-out liner looks, or if you were hoping to use these as a smudgy eyeshadow base, they won’t do that for you. 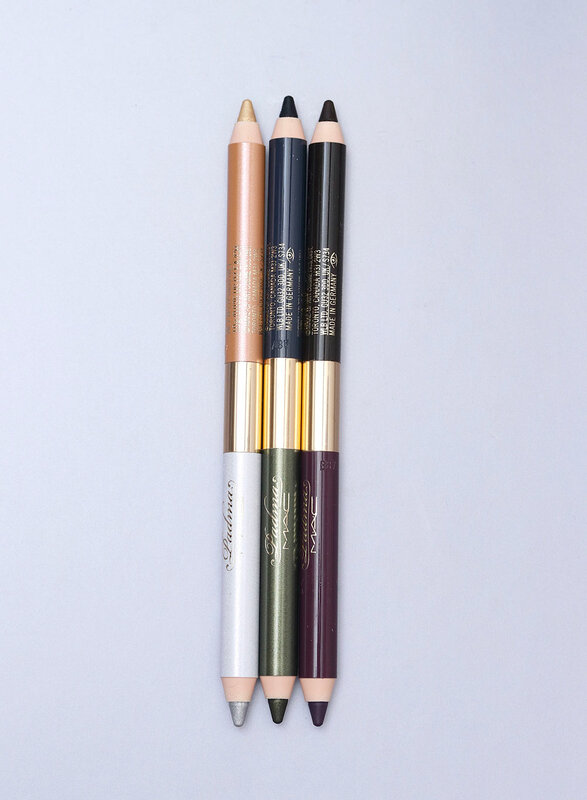 As simple, long-lasting pencil liners, though, they’re great. I’m wearing Bordeauxline and Mole Brown mixed together as an eyeshadow base, and Indian Ink on the upper lash line. Indian Ink/Mossy Green is my favorite one. Blue Indian Ink is a gorgeous dark navy that looks almost black at times, and Mossy Green — also gorgeous — rocks. I like to use a little in the inner corner of my lower lash line or inner tear duct for subtle eye brightening. It’s unlike a standard-issue inner corner highlight, which I like. 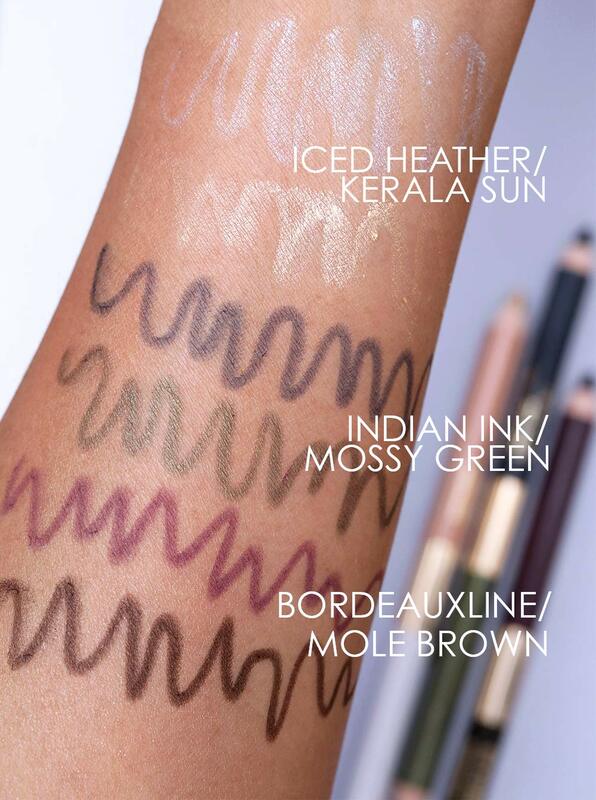 Like the rest of the MAC Padma Lakshmi collection, these are gonna be on the MAC website and at select MAC counters starting March 15th (if you’re serious about getting your paws on one, call your counter ahead of time to confirm). Previous Post: Connor’s Second Birthday! Next Post: Anybody Else’s Skin Purging Right Now? I love Mossy Green, but Indian Ink is not something I’d use… I might pick it up just for the green. I am constantly swooning over her makeup on Top Chef (to the point where SO will point it out, too); I am SO excited for her collab! I love both the blue/green and plum/brown. I’m loving the colors. I’m a big fan of UD 24/7 pencils, so I’m glad to hear these are similar. The Indian Ink / Mossy Green combo is my favorite too. Very pretty! The blue and green one is the one that interest me the most as well. Yes, to me that’s the prettiest one in the bunch. Isn’t the tournament tonight? Good luck to the boys! The blue and green one reminds of my fave double ended UD liner from long ago that was Sabbath on one end and Stash on the other. This will be mine!